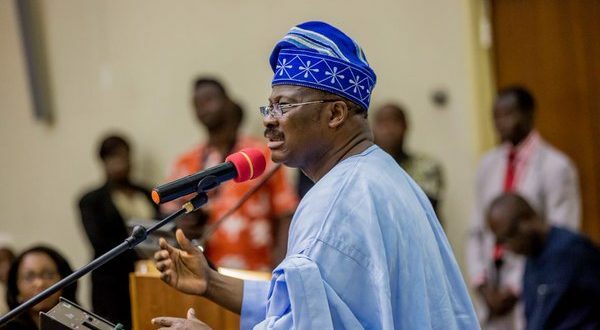 The Oyo State Government has promised to support the Central Bank of Nigeria (CBN) initiative in actualizing the 80% financial inclusion rate by the year 2020. Secretary to the State Government, Mr. Olalekan Alli gave this assurance on Thursday in Ibadan while declaring open the inaugural meeting of Financial Inclusion State Steering Committee (FISSCO) meeting held at the CBN Ibadan branch. Alli urged members of the FISSCO to take the assignment as a call to service and invest their time and resources to the course for the benefit of the entire country. He appreciated the Bank for recognising the importance of the state government in addressing the critical issue of financial inclusion that had continued to assume a global dimension, noting that it was very important for every stakeholder to contribute to the success of the laudable initiative to further advance the economy of the country, Nigeria as well as the well-being of the people. “Globally, policy makers have turned their attention to financial inclusion as a veritable tool of development and have therefore seen it as a development priority. “The relevance of the attention is the realization that financial inclusion can help poor households improve their lives and spur economic activity”, he said. Alli observed that one of the ways of helping the masses was to ensure that people, especially those at the bottom of the pyramid had adequate access to financial services in a convenient and affordable manner, explaining that this will go a long way in empowering the citizens, especially the vulnerable groups such as youth, women and the rural dwellers who were always at the receiving end. He then urged CBN and other financial institutions to strengthen cooperative and thrift societies and associations to enable wider access “to capital by stakeholders and our neighborhood industries to further expand their coast and enrich our country’s economy,” stating that this will facilitate the actualization of the target of 80% financial inclusion by the year 2020. Branch Controller, CBN Ibadan Mr. Mustafa Olatinwo in his welcome address explained that the Nigeria National Financial Inclusion Strategy was launched to reduce the percentage of adult Nigerians excluded from access to financial services from 46.3% in 2010 to 20% in 2020. He noted that the main aim of the target was that 80% or more of adult population should have access to the use of financial services with at least 70% of the number in the formal sector. Olatinwo stated that the cross-cutting and diverse nature of the targeted services required collaborative efforts by stakeholders in the financial sector especially at the grassroots. He said that the CBN had evolved an appropriate governance arrangement for the implementation of the NFIS at the state level, saying that FISSCO would now take the responsibility for achieving those targets at the grassroots. Olatinwo then called on all the members of the committee to support the state level arrangement in order to achieve the objectives.